For the first time, the state of Ohio on Friday released data showing how private companies manage $2.5 billion in public money for pharmacy benefits for Ohioans on Medicaid. The middlemen, called pharmacy benefits managers, are under scrutiny for how transparent they are in how the public money gets spent. The new report shows the companies retained $223.7 million last year of the money they billed Medicaid. Operators of small pharmacies have contended that the benefits managers take too much of the money and give pharmacists reimbursements that are too small. Some in the industry claim the low payments have forced small pharmacies out of business. CVS Caremark, with the same parent company as CVS retail pharmacies, manages pharmacy benefits for four of the five Medicaid managed care companies. Last year it kept 8.7 percent or the payments it received, or $197.3 million. OptumRx does work for the other insurer and kept 9.4 percent, or $26.4 million. Greg Moody, the director of the Ohio Department of Health Transformation, which oversees Ohio Medicaid, said Ohio needs more information before it determines what is a fair share for the pharmacy benefit managers. The report shows the system saves the state money, Moody said. Medicaid saved $145 million under the privatized system compared to the former system where the state insurance program for the poor directly paid fees for services. Ohio Association of Health Plans, which lobbies on behalf of the Medicaid managed care companies, said the new report confirms that the current system saves the state money. Attention should instead be focused on the pharmaceutical companies and their prices, according to Miranda C. Motter, president and CEO of Ohio Association of Health Plans. “Further, this report proves that independent pharmacies are not underpaid and confirms that the real problem is the prices drug companies charge for prescriptions drugs are kept secret and that pricing is unsustainable for Ohio’s purchasers of health care,” Motter stated. In 2017, the Dayton Daily News reported more than 90 pharmacies in Ohio closed their doors and others at the time said they may have to do the same because of a dramatic decrease in reimbursements from Medicaid managed care plans. Since CVS Caremark also has the same parent company as CVS retail pharmacies, independent pharmacists have claimed their lowered reimbursements are an attempt to drive them out of business and give more Medicaid business to CVS. CVS has more than 9,000 locations nationwide. From the state’s standpoint, Moody said his department wants its Medicaid enrollees to have access to the benefits they need and that they are getting a good price for tax payers. Since their enrollees could access pharmacy services and the state was saving money, Moody said there wasn’t an initial need to have the type of data released in the report. The impetus for the report was to get enough information on whether these middlemen were engaging in fair business practices. “From the state’s stand point there was no reason to ask this question except — and this is important — we don’t want to get a deal if it is at the price of anti-competitive behavior somewhere in the system,” he said. The state had a third party, HealthPlan Data Solutions, create the report on prescription benefit data following recent criticism of pharmacy benefit managers. The report used claims data provided by the Medicaid managed care companies and matched it to Ohio Medicaid data. New data shows the difference between what pharmacy benefit managers (PBMs) billed to Medicaid plans verses what they paid to pharmacies. From July 1, the state will be able to do the analysis themselves because of how it changed its contract with the Medicaid managed care companies. CVS said in a statement that report’s finding show that CVS Caremark pays independent pharmacies a higher rate than CVS pharmacies — 3.6 more for brand prescriptions and 3.4 more for generics. CVS said some of the the money it keeps also pays for clinical services and other benefit management services provided to clients. He said the report doesn’t disprove concerns that the middlemen companies are squeezing pharmacists. The data also doesn’t dig into whether the middlemen are paying too little given the cost of the drugs or pocketing too much for their services. “What’s reasonable? It’s very hard to tell because we don’t have a competitive and transparent marketplace,” he said. Moody said the pharmacy benefit manager debate is part of a broader issue that starts with frustration over how drug makers aren’t transparent on drug costs. “Manufacturers go out of their way to keep prices secret and then everything that happens after that is in a sense distorted. Because I think everyone assumes someone else is getting a better deal and there’s a lot of distrust in the system,” he said. 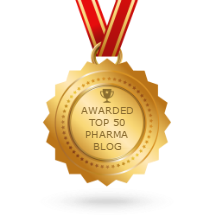 Trxade's Pharmaceutical RxGuru was selected by Feedspot as one of the Top 50 Pharma Blogs on the web.